Lots of foot traffic takes its toll on your floors. Because it’s gradual, you may not have noticed the scuffs, dirt or hazy appearance. MTO Janitorial reminds you that your floors are usually the first impression customers will have of your Prescott business. Make a good first impression with professionally cleaned floors that sparkle. Here’s what to expect from a commercial floor cleaning service. 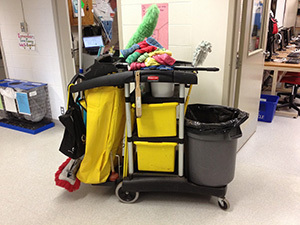 A clean facility is inviting for customers and employees alike. Professional floor cleaning not only improves the look of your facility, but also reduces health issues that arise from allergens and dust that enter through open doors and windows, and are tracked in on shoes. Give your business an edge with exceptionally clean floors and floor coverings. MTO Janitorial offers professional floor and carpet cleaning - and much more - for your Prescott commercial facility. For a free estimate or if you have any questions, call 928-772-0004.